Since research has shown that smoking tobacco cigarettes is dangerous to individual and public health, the nicotine market has developed an electronic cigarette alternative (E-cigarettes). E-cigs contain nicotine but claim they do not contain the carcinogens associated with smoking. However, new studies on electronic cigarettes show there are health risks associated with the vapor inhaling nicotine alternative. Toxic chemicals such as Diacetyl, Acetoin and 2.3 Pentanedione have been detected in 47 out of 51 different flavored e-cigarettes tested by The Harvard School of Public Health. Seventy five percent of the e-cigs and refill liquids they tested contained Diacetyl, a chemical used in flavoring agents known for causing lung deterioration and respiratory diseases, such as popcorn lung. Popcorn lung first appeared in microwave popcorn factory workers as a lung condition resulting from inhaling butter flavoring chemicals. The condition, also known as bronchiolitis obliterans, is a respiratory disease wherein the small and narrow airways in the lungs compress leaving scarring in the air sacs, shortness of breath and excessive coughing. Popcorn lung is irreversible and non-curable. Diagnosis of popcorn lung is difficult because the symptoms are similar to COPD (Chronic Obstructive Pulmonary Disease) and asthma. Restrictive lung diseases cause severe lung damage; the serious health conditions can be debilitating with many years of medical treatment to manage the disease. The potential dangers to individuals and public health regarding electronic cigarettes will be unidentified until long term studies are performed on e-cig users. The industry remains unregulated with only a proposal by the U.S. Food and Drug Administration to regulate e-cigs. Immediate medical evaluations and treatments are necessary after a diagnosis of popcorn lung or any other lung disease. 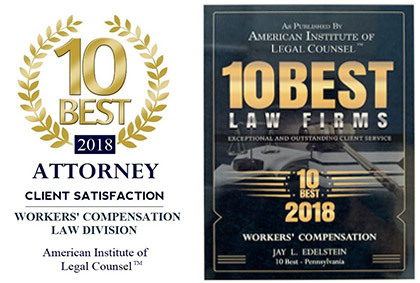 At the Law Offices of Jay L. Edelstein, we have skilled and proficient Philadelphia product liability lawyers that can assist you and your loved ones secure financial compensation for your injuries due to a defective product. Call 215-893-9311or 856-809-3150 to speak with product liability lawyer in Philadelphia or New Jersey. You may also contact us online for a confidential case review of your circumstances.